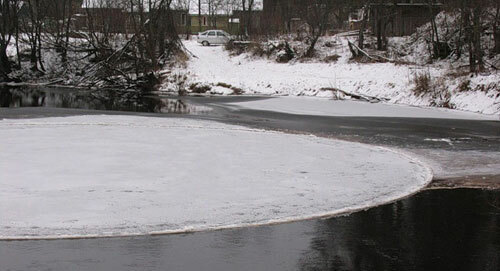 As circles and rings in ice-covered lakes and river-bays have become a relatively numerous documented phenomenon - especially in Scandinavian and other northern European and American countries, the latest case of an ice-circle in Russia (exact location and date of discovery unfortunately unknown) just adds another case of this most likely naturally caused circle-phenomenon. 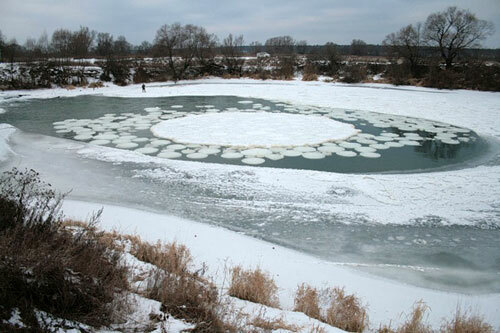 However, some rare examples of geometrically more complex patterns put the above described theory to the test - at least if presented as a simple single vortex-system or as the sole explanation for all patters in ice. 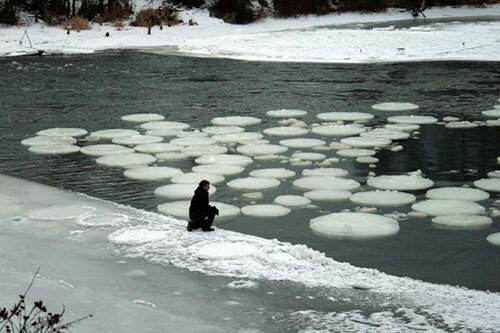 This seems also to be the case with another discovery from Russia, published by "englishrussia.com" mid July 2008. 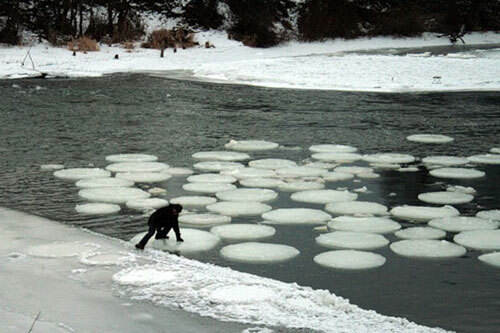 Here a central circular ice disc - likely discovered the previous winter or early spring - is surrounded by dozens of smaller different sized ice discs, that are even able to carry a grown up person's weight (see: following image).